Roughly 70 million people suffer from sinusitis every year, making it one of the most common health problems in the U.S. Sinusitis has a great impact on quality of life and causes people a number of problems such as inflammation around the eyes, coughing, dizziness, headaches and migraines. Sinusitis occurs when sinuses inside of the nose get congested due to allergies due to the season, dust/mold in the household or different anatomic problems in your nose when breathing through the nose for long periods of time. Many times, sinusitis can be mistaken for allergies because both happen year round throughout the seasons. Allergies inflame the mucosa that is inside of the nasal, causing it to close off the holes that drain out the sinuses. Because of the allergies and chronically having these allergies, it causes sinusitis. Dr. Geoff Trenkle, an otolaryngologist at White Memorial Medical Center in Boyle Heights, East Los Angeles shares with us a new surgical technique to relieve and cure patients of their sinus disease called balloon sinusplasty. Balloon sinusplasty (BSP) is a natural, safe, less invasive and effective sinus procedure used for patients suffering with chronic sinusitis, and who are seeking relief from uncomfortable sinus pain and symptoms. BSP is so convenient that patients are able to undergo BSP in both the operating room asleep or even in the office under a local anesthetic. Additionally, medication is not required to be taken in conjunction with BSP, but instead frees the patient suffering with sinusitis from taking further medications and constant doctor visits. 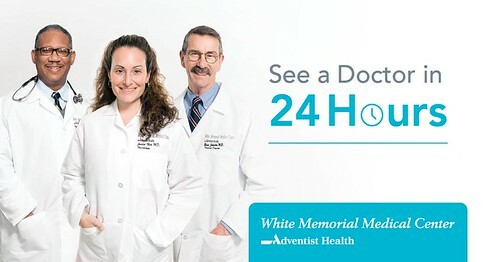 For more information about the medical services offered at White Memorial Medical Center, please visit us here.